There's an exclusive clip from the Harry Potter and the Half-Blood Prince Ultimate Edition DVD. 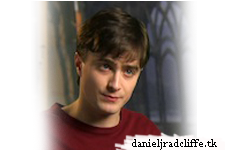 It features Dan talking about the change in Harry from boy to man, as well as the change from school-boy to warrior. Director David Yates also discusses the pressure Dan feels to get it allright. The Order of the Phoenix and Half-Blood Prince Ultimate Editions hit store shelves next Tuesday, 14th June.